Everyone like that sun kissed, bronze look but it is very difficult to be tanned all year round. There are a few tips and techniques on on different types of products to help you achieve as natural tan as possible. It is very important to exfoliate, ideally the night before. You can do this using the body was or you can prepare homemade body scrub. With the help of the ingredients you have in the kitchen, you will prepare great and affordable full body exfoliator. Mix fine sugar with coconut or olive oil in 1:1 proportion. To indulge your senses, add a few drops of fragrance oil, e.g. watermelon drops. Gently massage your wet skin with this formula to get rid of all the dead skin to make your skin smooth, and free from any residue. The hot water from your bath or your shower opens up the pores. If you apply the fake tan on your skin straight after taking the hot bath, the false tan will sit in the little wholes ruining the whole effect. The finish will not look smooth and you will end up with small, dark dots all over your body. There are many lotions with a self- tan build in. It has to be used every day so that your tan will get deeper with each application. You do not need to exfoliate it at the end of the week if you want to have darker tan shade. We have a wide variety of instant tanning products in any drug store. You can chose a foam, lotion or a spray one. The latter is a perfect solution if you do not have a pair of gloves around your house. Each of this instant tan product will hold to your skin 4-7 days. It is very important that you exfoliate at the end of the week so that your tan comes of evenly, without leaving patches on your skin. Never reapply the tanner without removing the old layer of it. One thing to watch out when using the spray tan is your carpet and it can stain it. Apply the tan in the bathroom or cover the carpet with a dark towel to prevent any discolorations. As with all tans for the same reason make sure they are dry before putting the clothes on. Whichever the product, the basics are the same. Try to protect your hands form the product using special gloves available in any beauty store. Put a tiny bit of the tanning product on the glove and rub it against your skin using circular motions. Work the product on the bigger parts of the body first. Any excess product you have, work it on the knees and ankles. You can add more fake tan once the first layer has been absorbed. The spraying tan is a great product for those who do not like using spreading gloves. Hold the can about 30 cm away from the skin and spray it with long, even strokes. With both types of tan always apply two layers, leave an about an hour between each layer. Your tan will be much deeper and it will fade evenly. Make sure that your skin is hair-fee before applying the self-tanner. 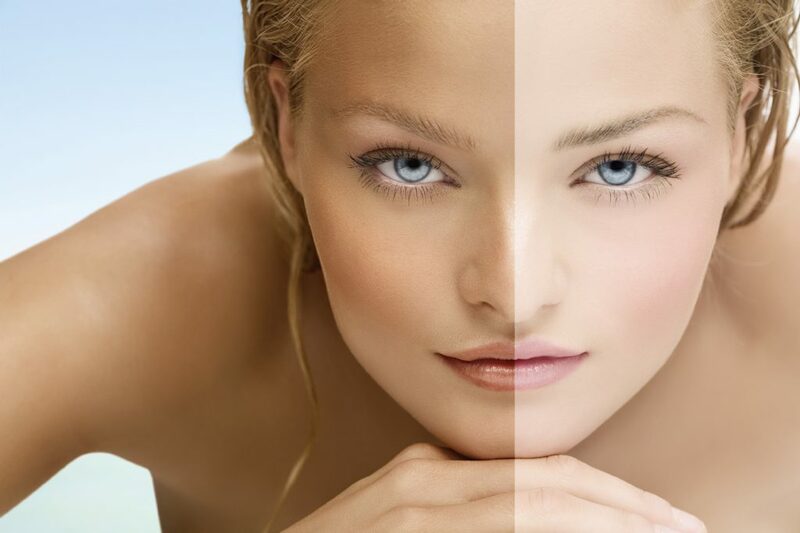 When buying the product, pick the one that gives light tan in opposition to the darker one. To get the shade you desire, apply two or three layers of the tanner to get flawless, natural look. Always clean your hands right after applying the tanning product.